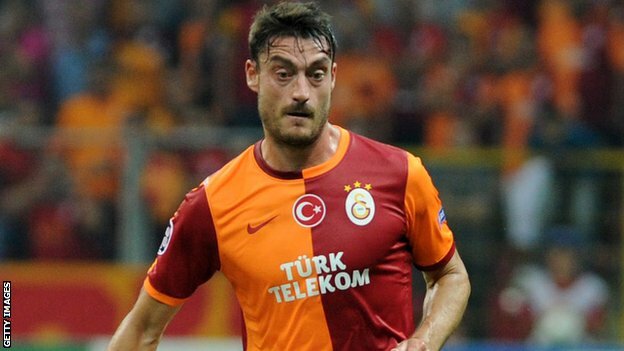 Albert Riera is a midfielder for Spain and Liverpool in the English Premier League. He has pace to burn, and is at his best when he is running down the left wing, ready to cross the perfect pass for compatriot Fernando Torres to score. In spite of competition from the likes of Ryan Babel, Riera is the first-choice player, and has proven that he has the technical ability, as well as the physical attributes, to compete at the highest level. Albert Riera was born on 15th April 1982 in Monacor, on the Spanish island of Mallorca. He had always supported Real Mallorca as a child, so he was thrilled when he was offered a place in their academy when he was just 12 years old! He progressed through the youth ranks, and signed a full-time contract with Mallorca at the age of 16, when he had left School. Riera became a regular in the Mallorca B (reserve) team at 18, and was promoted to the first-team before the end of the 00/01 season, making his debut as a substitute in the last month of the season. A season on the fringes followed, when he was adapting to the harder training and building up more muscle so that he could hold on to the ball more effectively, before he was given a place in the first-team in the 02/03 season, which culminated in a Spanish Cup winners medal. Bordeaux had seen enough of this mercurial winger to offer him a chance in France. The money was too good for Mallorca to refuse, so Riera was on his way. Two successful seasons in France, where he had consistently won himself a spot in the first XI, ensured there was interest in acquiring his services when Riera decided to head back to Spain. Although Espanyol had paid some good money for him, Riera was being bought as ‘one for the future’. A loan move at Manchester City gave Albert a taste of English football, and some much-needed games. Riera matured with age, and was a crucial member of the Espanyol first-team for the next two seasons, which included a superb European run to the Final of the UEFA Cup. Albert Riera was a transfer-deadline day purchase by Liverpool’s Rafa Benitez on September 1st 2008. With Aaron Lennon and Ryan Babel struggling to establish themselves in the first team, the Spanish manager was looking for a solid and reliable performer who also had the creative ability to make goals out of nothing. It took some time to get to grips with the pace of the English game, but Riera is now one of the first names down on the team sheet. Albert Riera had always played for unfashionable clubs, which perhaps explains why he was only called up to Spain’s international side in 2007. Although Riera performed admirably in the few games he played for Luis Aragones, he was overlooked for Spain’s victorious Euro 2008 Championships, with Diego Capel preferred on the left instead. A move to Liverpool, a club with massive international standing, improved his chances with Spain somewhat, and he is back in the first-team.